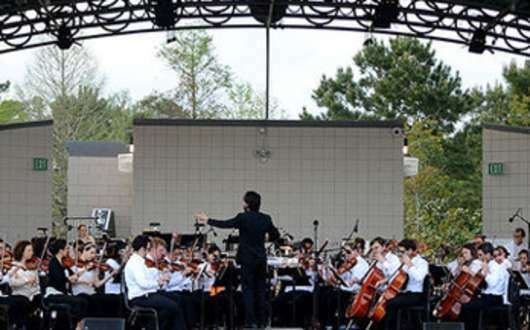 The City of Slidell presents the 17th annual “Some Enchanted Evening” with the Louisiana Philharmonic Orchestra on Sunday, May 5, 2019. The concert begins at 6 pm. Admission is free. “Some Enchanted Evening” is the perfect family event for both the young and young at heart. This event encourages the community to come together to enjoy timeless music from the Louisiana Philharmonic Orchestra as the sun sets over scenic Bayou Bonfouca. Guests are encouraged to bring ice chests, picnic baskets, blankets and chairs to enjoy an enchanting picnic in the park. On-site catering from participating vendors will also be available for a nominal charge. Public parking will be available in the lot on the corner of Bayou Lane and Pennsylvania Avenue immediately outside of Heritage Park. Complimentary shuttle service will be provided from 5 pm until after the concert. The Fremaux Avenue entrance to the park will remain closed to all traffic. The Boat Launch will close Sunday morning at 6 am, as will the boat launch area will be used to provide parking for the orchestra members. A parking pass will be required for admission at this entry. A limited number of parking spots for handicapped accessibility will be available on a first come, first served basis. Eligible guests must have a fixed license plate or driver’s license with handicapped designation. All other parking within Heritage Park is reserved for musicians, vendors and staff. In the event of rain, the concert will move to the Slidell Municipal Auditorium, located at 2056 Second Street, in Olde Towne Slidell, on the same date. Weather cancellation updates will be posted on the city's website and social media pages on the day of the event. For more information, please call (985) 646-4375 or visit myslidell.com.